And…. it’s officially September. Everyone is going back to school (even Nora! — which I’ll share more about in a later post). Today, however, I’m sharing a few more of my favorite things! 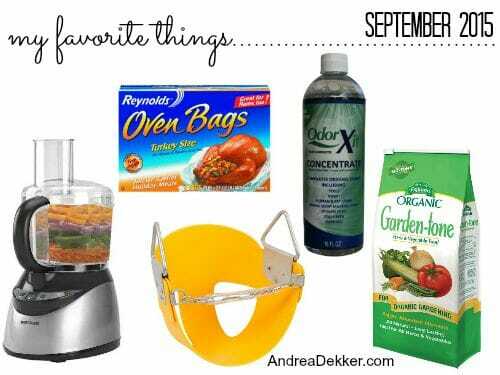 Be sure to check out some of my favorite things from past months and share your favorite things in the comments! DISCLOSURE: None of these products are sponsored in any way; however, some of the links below are affiliate links — which means that at no cost to you, I may get a VERY small commission. However, I hope you know that I’m only promoting the products below because I use them daily in my own home and life. Read my full disclosure policy for more information. We received our food processor as a wedding gift 9 years ago; and although I rarely used it those first few years (I even contemplated returning it at first) I’ve used it A TON the last several years. We have a few different blades with our food processor, my favorite of which is the grating blade that is amazing for grating massive amounts of cheese and various vegetables (like all the zucchini we grew this summer). It literally takes me 5 minutes to shred 20-30 cups of zucchini… which would probably take me an hour to do by hand! Plus, our food process is dishwasher safe, so cleanup is a breeze. 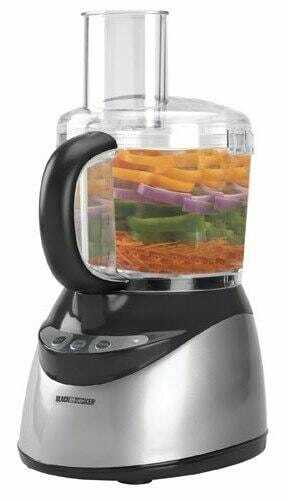 I’m sure there are many more gourmet and fancy food processors on the market these days, but this one is working fabulous for us after 9 years, so I definitely think it’s worth the price (if you have a use for one). 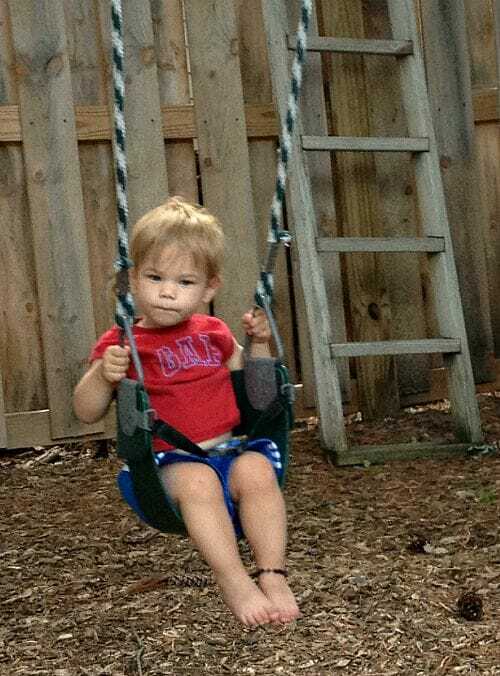 Almost every time I show a picture of our kids swinging on our backyard swingset, I’m asked about the half bucket swing. I honestly didn’t know much about it because it came with the swing set (which was given to us from a friend a few years ago)… however, this half bucket swing quickly became one of our favorite things — and I just recently realized they are sold on Amazon.com! This swing is just like it sounds… a “half bucket” that younger children and toddlers can sit in without falling backward. Obviously, you still need to make sure they don’t fall forward, but in my opinion, that’s not as likely as falling backward. 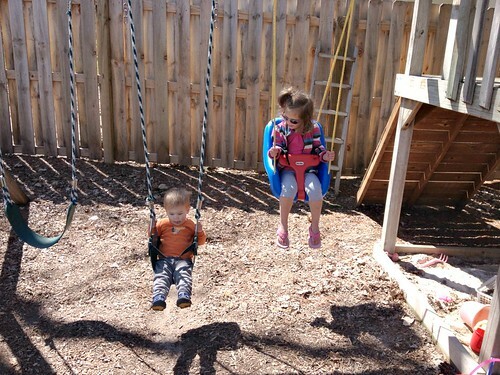 Both Nora and Simon LOVE this swing as it allows them to feel like they are swinging on a ‘big kid swing’. Dave and I love it because we don’t have to worry about them falling off! 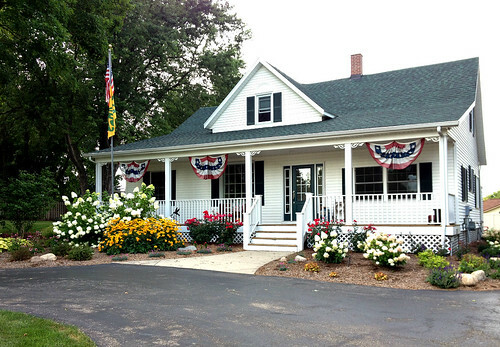 I’ve been using the Espoma brand of organic fertilizers since Dave and I purchased our first home when we got married (back in 2006). 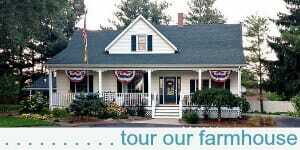 Although I will say they are quite stinky, I think they do a fabulous job of fertilizing our various plants, shrubs, flowers, fruits, and veggies. 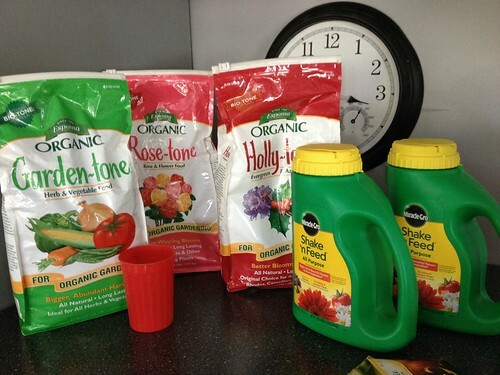 I also love that Espoma carries specific fertilizers for vegetables, roses, and “evergreen plants” like azaleas and hydrangeas (all of which we have in our garden). I realize it’s not even close to Thanksgiving yet, but our freezer was getting too full, so the turkey had to go! We had a week of really cool weather here (down in the 50’s and 60’s at night) so it was the perfect time to throw a turkey in the oven… and now I have a freezer FULL of chopped turkey meat and broth for casseroles, soups, stews, etc. The thing I LOVE about roasting a whole turkey (besides the extra meat and broth) is how simple and fool-proof it is to do. 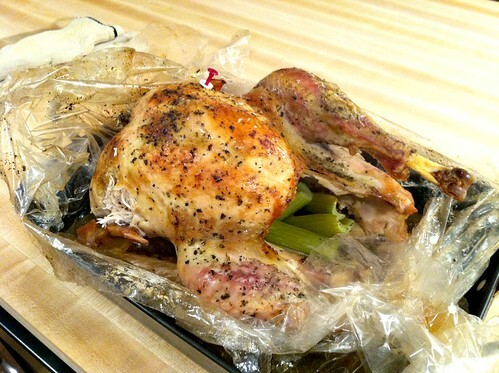 As I’ve mentioned before, I use Turkey roasting bags EVERY time I roast a turkey, and I’ve never once had a bad turkey. Even if I leave it in the oven a little too long, the meat is always juicy and flavorful! Definitely something to think about for those of you hosting Thanksgiving this year! I’ve been using the OdorXit products for about 18 months now — and I’m totally hooked. Between stinky Simon diapers, a few “accidents” while potty training Nora, garbage odors, and general household bathroom odors, we’ve gotten more than our fair share of use out of the OdorXit Odor Neutralizing Spray! 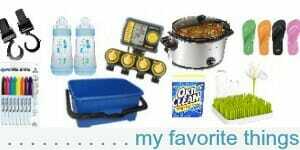 They are the most amazing thing for removing almost any type of odor from almost anything (air, furniture, carpeting, etc.) And yes, they do REMOVE the odor, they don’t just cover it up with perfumes. 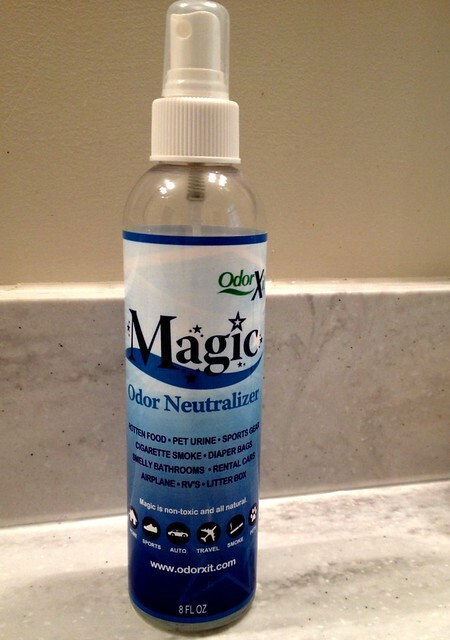 You can learn more about these products from the OrdorXit website… but if you have small children, pets, or any other perpetually stinky odors around your home, I would highly recommend looking into the OdorXit products. They are so concentrated that we still have a massive amount left after 18 months of very regular use! Make sure you check out my previous months’ favorite things — and feel free to share some of YOUR favorite things in the comments below! I always have thought that you can’t refreeze meat – does it work out OK to take a raw meat (like your turkey) out of the freezer, cook it and then refreeze? Maybe the rule applies to meat you haven’t cooked? I am new to this freezer cooking thing and I’m slowly learning! 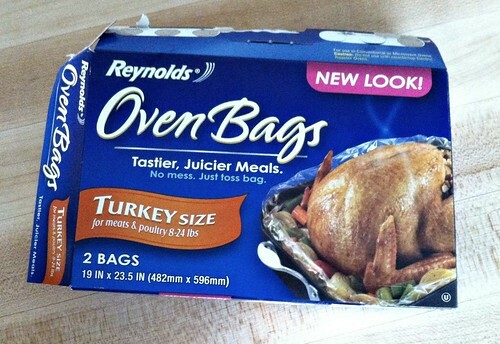 I love the oven turkey bags! I have never had a dry turkey using them. I also use the smaller sizes for chickens, pot roast, pork chops & oven beef stew. 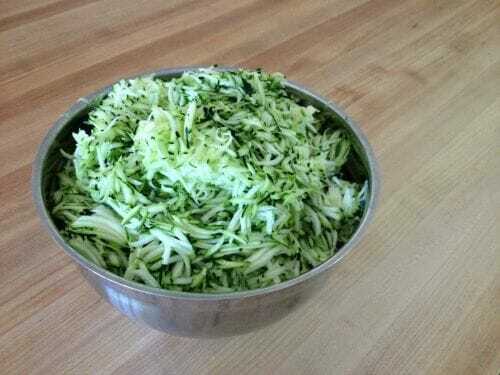 So….Just wondering…what do you do with 20-30 cups of shredded zucchini? haha! I actually roasted this turkey breast down too. we don’t care if the skin gets crispy on top, so I figured it would be a good idea to try it this way so the white meat was more juicy… and it worked! OdorXit?!?! You may have just answered my prayers Andrea! I just posted an article last night which my middle child may forever hate me for! Plus we had a stinky trash can that we threw away too. I wonder if the smell just permeates the plastic sometimes. haha — glad to help! 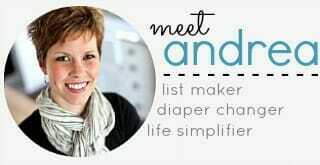 Andrea- does the OdorXit products have a smell to them? I’m in Canada and the only thing I can get is febreez and I have a sensitivities to heavy perfumes. I’m looking for something that will take away odor, but also not leave a strong perfume scent. I travel to the US occasionally to shop and I’m interested in this product. What stores can you buy it? it has a smell, but it’s not bad. It’s pretty mild and “disappears” quickly (at least in my opinion). Also, I believe it’s sold online via the link in my blogpost. Good luck!